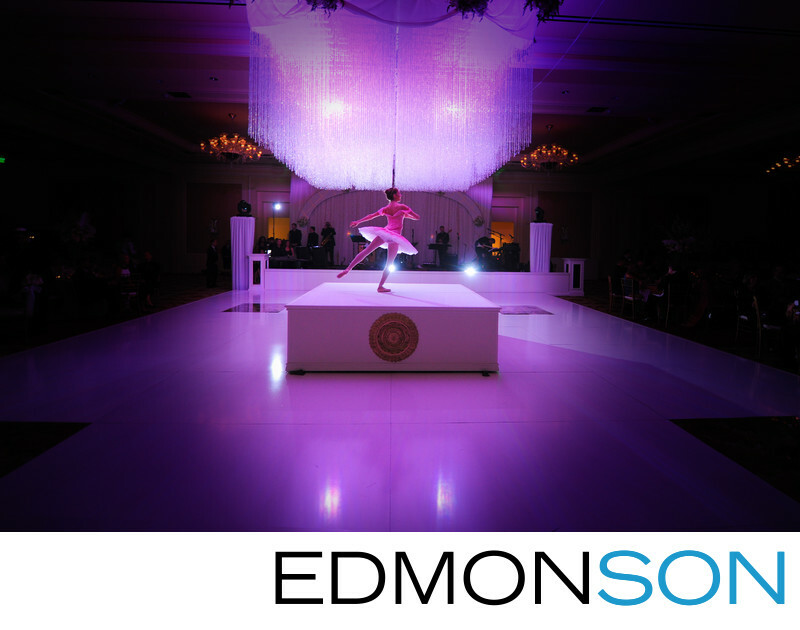 A single ballerina takes center stage as guests enter the Ritz-Carlton, Dallas ballroom reception. Wedding coordination provided by Mary-Frances Hurt of DFW Events. Set design by Nelson Robinson of Stageworks in Ft. Worth. 1/60; f/2.8; ISO 1000; 16.0 mm.